Couldn’t agree more. Too often we make assumptions without knowing what’s going in the lives of other people. Good post. Thanks, George! I try so hard to remember that I don’t know what motivates other people, and so often what seems strange to me makes perfect sense once I realize what they are dealing with. I think tolerance is way under-rated! Oh yes Ann, this was right on target as someone who has been asked the same question and wanting to say so many things back.. At least for me that was better than when they found out I had no children..that really stopped them in their tracks. They really didn’t know what to say. 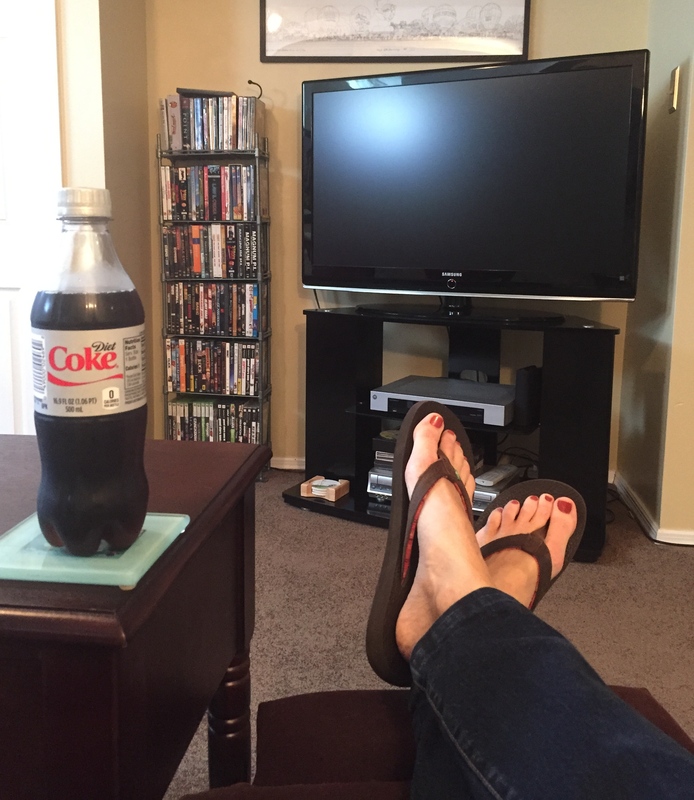 You know what, even if you are sitting in a recliner, drinking a diet coke, who’s business is it to judge. Why do some people seem to appoint themselves to be the judge? And if we look at their lives what would we think? Exactly! We do what we think is best, and it is not anyone’s business to judge! I know I’m happiest when people aren’t judging me….. Right on! We don’t walk in anyone else’s mocassins and therefore should not judge. Oh sure, I can’t claim to be perfect, but I do try to be careful in hopes someone will be careful in their judgement of me. I think a conversation with this person is in order. Education is always a good thing! Yes, I agree! I’ll wait until the right moment, and then bring it up, as gently as possible! I LOVE this post, Ann. It rings so true. Sometimes I desperately wish I could leave my job and just be. I always find plenty to do when home, and love having plenty of time to tend to my family, home, gardens, and self. All of this stuff matters. Yes, I think that might have been what she meant… Assumptions are always so tricky. Thanks for the comment!